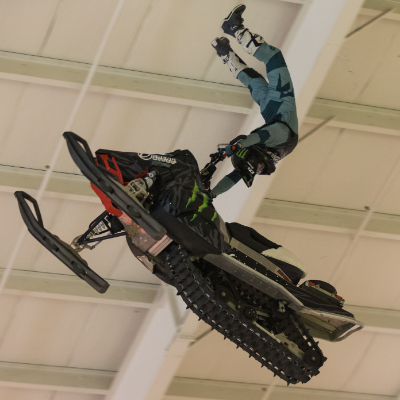 Nick Khattar has lived and travelled around the globe, collecting action sports videos and photos for various magazines and mediums. 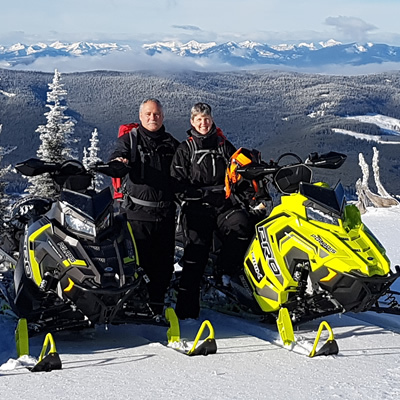 Lately, he’s been hanging his hat in Revelstoke, B.C., where backcountry snowmobiling has inevitably found its way into his world. 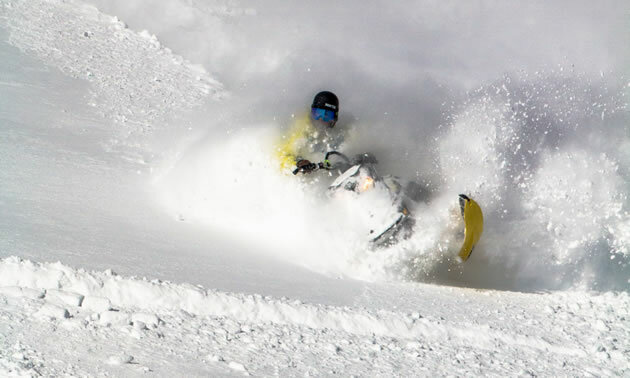 A natural-born storyteller, we asked Khatter to reverse roles and share his story with us—along with some incredible sledding photos. If you like his work, be sure to check out his website. 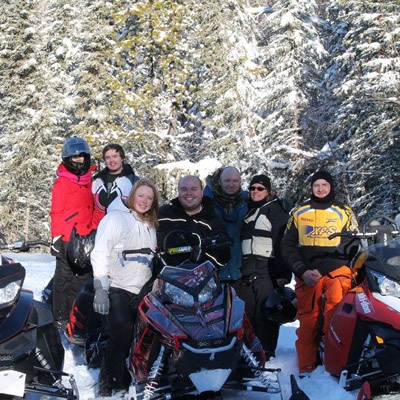 I grew up on the east coast of Canada so my experience with snowmobiling began with trail riding dirty old four-stroke machines over flat, frozen terrain. 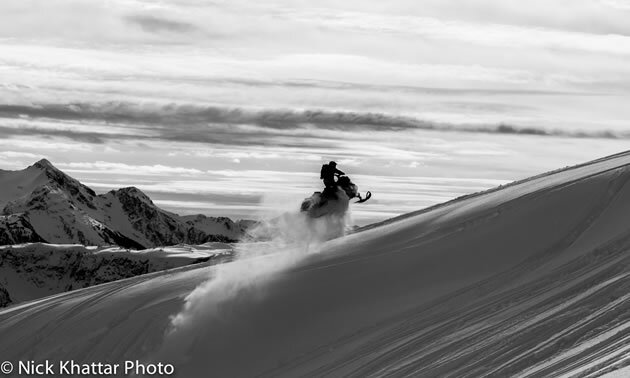 I really got into snowmobiling, though, while living in Tahoe, California, working as a snowboard filmer and photographer for snowboard companies in the area. One of the companies I was working for gave me a “sled.” It was an old Ski-Doo, modified for racing. The thing was light as a feather and would go like a bat out of hell. 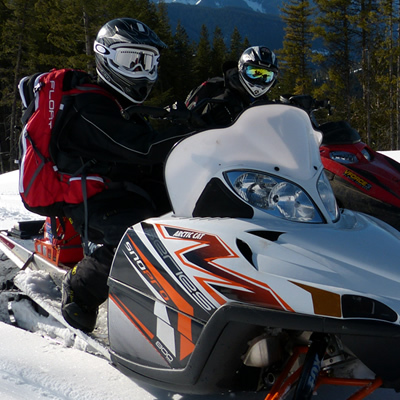 I moved to Revelstoke, B.C., in 2012 and soon after bought my first real sled: an ’08 Summit 800 that I bought for $5,000 cash—all in $5 bills, which I gave to the guy in a brown paper bag. From there I never looked back. 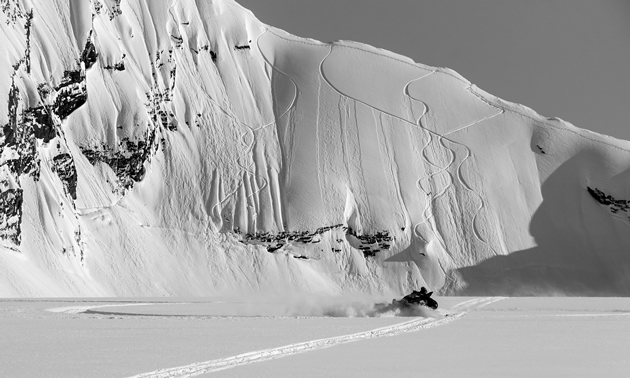 It started as a tool to film snowboarding but has grown into a straight love for braaping. But that’s the beauty of living in Revelstoke: the terrain is so complex and diverse. 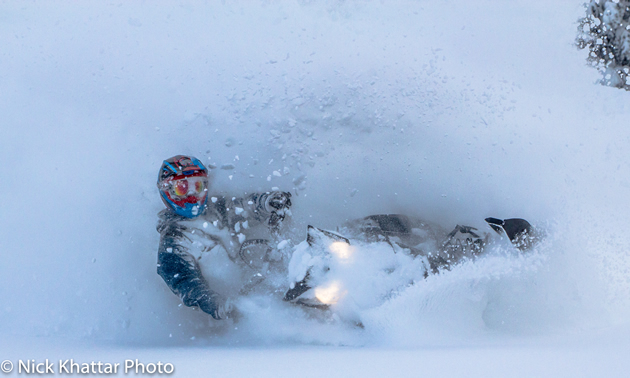 You can go out to shoot snowboarding and come home with a few amazing snowmobile shots. 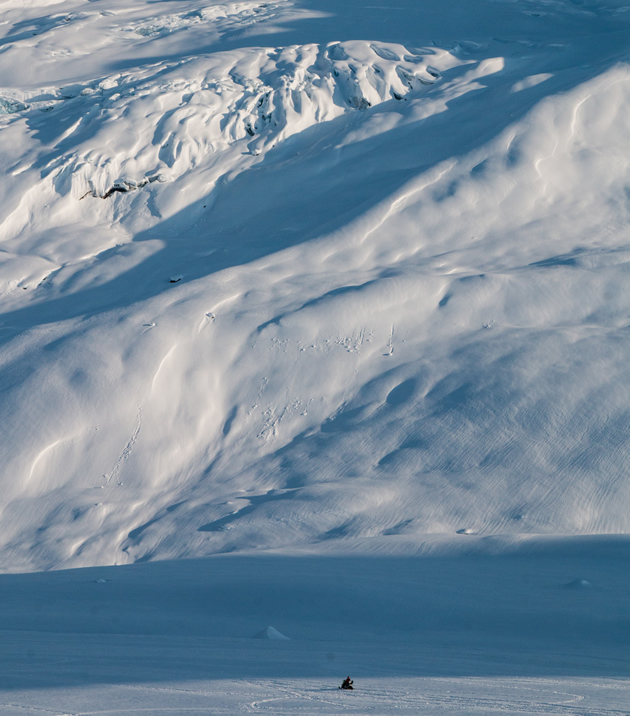 That’s partly because of the terrain but also because everyone here can rip on a sled equally as gnarly as they rip on a board, or skis (see image of Jake Teuton). That being said, the terrain can also be so challenging and so frustrating. It’s seldom you get a bluebird day around here and often you are dealing with whiteout snowstorm conditions; great for face shots and submarine turns but not always ideal for great photographs. But if you can ride here you can ride anywhere. And if you have the patience to be a photographer here, you may as well be a Buddhist.